With the original H4n already a long-serving weapon in his audio arsenal, Andy Coules was eager to get his hands on the new Pro model to see what improvements it brings. Having established itself as a producer of low-cost effects units, Zoom entered the handheld digital recorder market with the H4 in 2006 and since then has produced a wide range of digital recorders widely used by film makers, podcasters, field recorders and anyone who needs a versatile portable recorder. In 2009 it brought out the H4n (the ‘n’ standing for next), which added new features, improving on the original H4 and ultimately replacing it. As a regular user of the H4n since 2010 I was keen to get my hands on the H4n Pro and see what has been done to improve this much loved and widely used recorder. For those not familiar with its predecessor, let’s run down the specifications. There are three recording modes: Stereo, 4CH and MTR, which enable stereo, four-channel and multi-track recording. Audio can be recorded in either uncompressed PCM WAV (16/24-bit, 44.1/48/96kHz) or compressed MP3 format (48 -320kbps or VBR). Input is via a pair of in-built X/Y microphones (switchable between 90º and 120º ), a pair of combo 0.25in jack/XLR sockets or an external microphone via a stereo mini-jack input. Storage is via SD or SDHC cards (up to 32GB) and the A/D conversion is 24-bit (x128 oversampling). 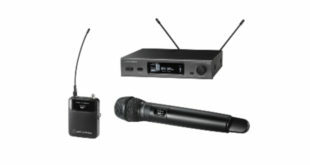 The in-built microphones can handle signal levels up to 140dB SPL, the XLR inputs can deliver phantom power (24/48V) and the external microphone input can supply plug-in power (2.5V). On the top panel there’s a 1.9in backlit LCD display, four track/file function selector buttons, input select buttons (with active/level indicators) and the transport controls. On the left side there’s a remote control input jack, headphone/line out mini-jack, output volume rocker, mini USB socket and hold/power slider. On the right side there’s the SD card slot, record level rocker, menu button and scroll wheel (for navigating the menus). On the back is the external microphone input jack, a monaural reference speaker, a threaded tripod mount and the battery compartment. On the bottom is a pair of lockable female combo jack/XLR sockets. Power is delivered by a pair of AA batteries or an optional DC power supply; battery life, in regular use is up to 6 hours (or 10 if stamina mode is engaged). Under the hood there is also a metronome, chromatic tuner, mid-side decoding and an effects unit, which includes compression/limiting, low cut filtering, modulation, reverb/delay and amp modelling. It also provides loop playback, variable playback speed (without affecting pitch) and variable pitch (without affecting speed). The USB port enables direct connection to a computer for file transfer or it can be used as a two-in/two-out audio interface. It’s impossible not to be constantly comparing the H4n Pro to the original H4n. The Pro is instantly familiar as it looks very similar to the H4n; I had to put them side by side to really appreciate the differences. The body of the Pro is now black and rubberised, the screen is clearer and the back light brighter (it’s now grey as opposed to the original orange); it seems to fit in the hand more comfortably (despite being 14g heavier) and the front and side panels sport a new bezel which neatly guides the fingers to the two volume rockers (i.e. record level and output level). All of the inputs/outputs and controls on the top, sides and back are identical, albeit slightly improved, for instance the volume rockers protrude slightly more and feel firmer to the touch. The big difference at the base is that the combo sockets are now lockable, which is a great improvement on the original. In use I could not detect any difference in the user interface – all the menus and options are present exactly as before and thus the software side of things is identical (although the firmware itself is not contiguous with the H4n). I did a series of test recordings, at gigs and in my home studio, and everything worked exactly as expected – there is no learning curve whatsoever for H4n users. The microphone preamps on the H4n weren’t amazing but they always did the job – and at that price there’s little room for complaint – so I was quite excited to hear that the H4n Pro has the same improved high-performance microphone preamps used on the H5 and H6. 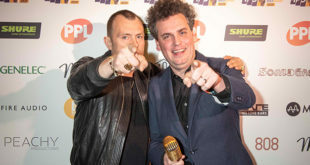 My first impression of using the in-built microphones was very favourable indeed – the recordings were clear and distinct with a very natural sound, and on headphones the stereo field was wide and clear and it almost sounded like a high-quality binaural recording. When I compared simultaneous recordings of the same source the H4n sounded slightly dull and a bit more in the centre of the stereo image; the H4n Pro was wider, clearer and had a little more ‘sparkle’ (although please take into account the fact that my H4n is now six years old). Bearing in mind the fact that the H4n Pro can handle sound levels up to 140dB SPL with a noise floor measured at -120dBu EIN you can see just how much it’s moved on from its predecessor. 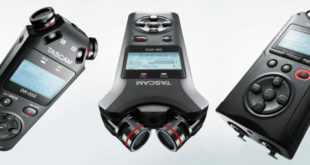 The other big difference between the H4n Pro and the H4n is what you get in the box. The H4n came with a DC power supply, a 2GB SD card, an MA2 mic clip adapter and a USB cable; the H4n Pro comes with none of these. Personally I never used the MA2 clip, I have a drawer full of USB cables and a 2GB card is a bit small for most uses but an AC adapter is always handy (and can of course be bought separately). Not including these items does brings down the cost of the unit and all of the H4n accessories will work with the H4n Pro, so for those upgrading it’s not a big deal. The power of the H4n lay in its versatility – you could shove it in your pocket and record just about anything you desire, you could clip it to the top of a DSLR and get high-quality time-coded audio or you could plug in your guitar and multi-track to your heart’s content. 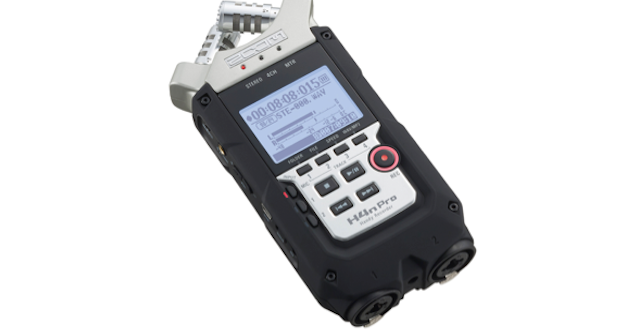 In some ways the H4n Pro is an incremental upgrade of the H4n, designed to improve upon and replace it in the same way the H4n superseded the original H4. 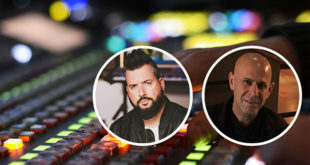 However, the major improvements to the microphone preamps should not only entice new users but might also inspire existing H4n users to upgrade sooner rather than later. I can quite easily see the H4n Pro becoming as much loved and widely used as the H4n.